What’s your favorite Italian dish? Mine’s certainly a good Risotto any day. It really is the essence of Italian cooking. Tricky and time-consuming??? Well not really if you just follow a few important steps while making Risotto.The key of course is patience and yes it does need your undivided attention throughout the entire process. Now the main ingredient of course is rice. I’ve used a good quality Arborio rice and the brand name is Gallo. 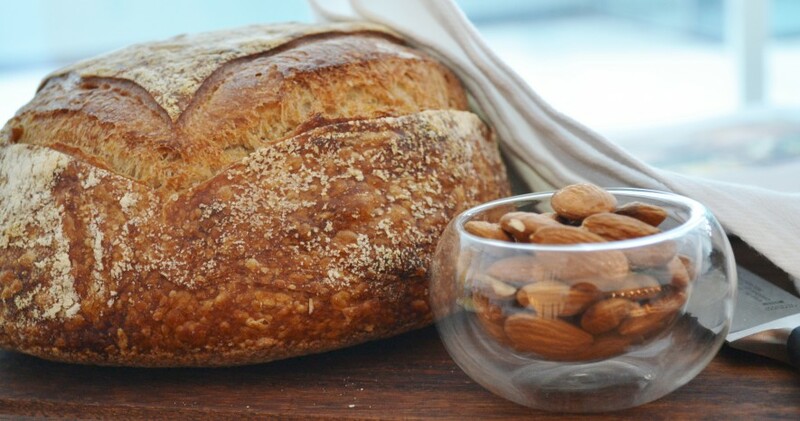 It is short grained and a starch variety, just perfect for Risotto making. The main step is getting the Risotto to a perfect consistency.To get this you would need to keep adding some stock a little at a time and stir it. The rice cooks in this stock it releases starch and imparts a wonderful creamy texture to the Risotto. This should ideally take no more than 20-24 minutes.The important tip is to ensure that the rice grain is al dente, which really means that it should be cooked yet have a firm bite to it. The following recipe is a step by step guide to a perfect risotto. There are many variations. Mine has some brown button mushrooms, some chardonnay and fresh parmesan shavings. Please do use Shrimp, chicken, mixed herbs or even some asparagus if you like. In a saucepan, melt the butter over medium heat and sauté the onions till translucent. Then add in the chopped mushrooms and sauté further. Add the rice and let sauté till rice is transparent. Add in the wine and stir till it evaporates. Now keep adding spoonfuls of the stock and let it simmer on a slow flame. Do keep adding more stock as the stock is absorbed by the rice. Add the parmesan shaving and season with some salt if necessary. 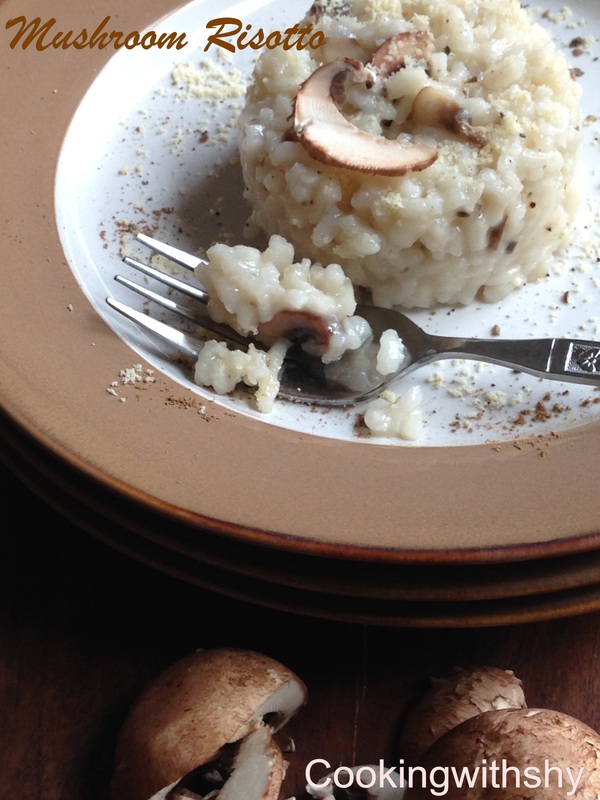 Yes it is…love mushrooms in just about anything and they really go well into this Risotto as well.